When this letter arrived from a Russian reader of Road to Emmaus, directed to Fr. Artemy Vladimirov in Moscow, the questions raised were of such universal interest that we asked Fr. Artemy to answer them in print. He kindly obliged. From the Bible, especially from the Book of Revelation, we know that our Lord Jesus Christ has given the keys of paradise to His disciples – St. Peter is often depicted with them – but the keys to hell He holds in His own hand. What does this mean? It means that our gracious Lord, Who is Light and Love, does not delegate the right to send a soul to hell to any creature, neither saint nor angel. As the Merciful Creator, He keeps this key for Himself. When we ponder on these eternal questions, we should not allow our minds to hang suspended in confusion between heaven and earth, or seek answers in our imagination. We should base our understanding on the Holy Scripture and Church tradition, which is the only way to be quite peaceful about these questions. If you cannot find an answer in the Bible, look for it in the writings of the saints. If you are still unsuccessful, humble yourself, knowing that God is beyond our logic, that His ways cannot be encompassed by our minds nor weighed in our feeble hands. The true way is to be grateful for His eternal love and to be humble before His mystery. God lives in unapproachable Light; how can a creature measure his Creator? It is a great danger to allow doubt to penetrate our hearts because our Lord is loving and just and there is not the slightest shadow of darkness on the spiritual Sun. Even His disciples couldn’t understand everything that Jesus Christ said, but they did not doubt or insistently question their Teacher. They were humble and silent in the consciousness that they did not yet understand every eternal subject. We should remain peaceful and unconfused if our minds cannot find eternal answers. We should not doubt our heavenly Father if we don’t understand every phenomenon of earthly or spiritual life. In our reader’s letter we see a phrase that is repeated several times. “…People go to hell,” “…Bad deeds will send them to hell.” But, first, we must ask, what is it to be a citizen of paradise, what is it to be “sent to heaven?” It means to plant Jesus Christ in your heart, because the heavenly kingdom is the eternal life of the Personal God. Salvation means to be spiritually united with your Creator, through belief in Jesus Christ. Are our so-called “good deeds” sufficient to achieve this aim? Giving alms, feeding the poor, relieving the sick… do these things equal the cost of eternal salvation for us? Never. It is only through our belief in Jesus Christ, our love for Him and His mercy and condescension that we can become the abode of the Holy Spirit, the Living God. Our good actions are only the witness of our flaming desire to be with Him. They are our plea, our request, but not our merit. The holy fathers say that an earthly life is a thing of great eternal responsibility. Everything that helps us to become a part of God’s Church is not simply a good moral deed, but a virtue of great price. Everything that serves the aim of salvation is to be fulfilled and praised, and everything that hinders us on our road to the heavenly kingdom is to be reproached and anathematized. The chief obstacle to achieving salvation is sin, the transgression of God’s moral law. Sin is a sign of our disbelief, of our indifference, and every sin is a transgression of ecumenical, universal character. A simple judgment, an angry thought or unclean movement of the heart, an empty word, is war against the Holy Spirit. It is an insult to heavenly grace, and if the sin remains unrepented, God will leave this soul to itself. It is very easy to understand that all sins, great or small, have an eternal price. If the consequence of our sinful life is moral debasement and a temporal estrangement from God, this will carry over into our eternal life. If you have allowed yourself to live without God in this earthly life, if you did not allow Him to enter your soul, certainly, after the separation of soul and body you will find yourself alone. God cannot live in uncleanness. If your soul has become filthy, if you have never attempted to cleanse it through repentance, never allowed yourself to understand what crimes you have committed against the Holy Spirit, Who is chastity, peace, love, innocence, joy, wisdom, humility, and patience, you will be embraced by this death that you have freely chosen. You will be all alone with your passions, which had already begun to torment you in this life, but which your body, your fleshly life, had kept you from feeling. So, what is it to be sent to hell? It is not an external act by someone who wants you to go to hell, but it is the result of your entire life, your essential estrangement from holiness. It is your rebellion against the Kingdom of peace, truth and love. The primary law of earth is that God allows each of us to manifest himself totally, to determine oneself without any interference. Each person lives so as to show his intentions, and not only to show them, but to prove to the whole universe who you are. As the Holy Bible says, God does not desire the death of a sinner, but that he should be converted and live. Through His omnipotence, love and goodness He shows each person a better way. He helps him to choose this way, to rid himself of the darkness that has accumulated in his heart and to be enlightened by the Holy Spirit. There is not one person who will find himself in hell through misunderstanding or ignorance because our Lord has paid too high a price for each one of us. Having poured out His blood on the Cross, He cannot lose or forget a single one of His sheep. No one can escape His divine embrace except those who turn their back. Whether a person lives in the middle of Africa, in China, or in the mountains of Tibet, God knows, as the Holy Bible says, “the hearts of men whom He has made.” He knows all of our thoughts, ideas, and intentions. Our hearts are open to Him, and He waits, He does not violate our will. But He not only waits, He also helps us by coordinating the circumstances of our daily life so that we have the opportunity to make the right choices. It is only our blind ingratitude, our desire to pursue passion, and our defiant will that makes war against God’s grace. Our Lord will not forget any sheep who calls for Him, even if he has never heard the name of his Shepherd. He constantly remembers and reaches out to each soul He has created. Nothing and no one is forgotten. This is the belief of the Church, and of this I haven’t the slightest doubt. I would advise every Christian to have faith in God’s unlimited love for His creation. We know that if a person has sympathy for a moral life, if he clings to the witness of his conscience and avoids doing harm, if he exercises himself in good, and asks for God’s help, if he looks for the True God and supports this search with his will and action, Jesus Christ will reveal Himself as God Almighty; He will give all the necessary means for salvation, sending His saving grace either through a missionary priest traveling in a pagan desert or His angels or saints, by His unseen grace. For instance, we know that our Lord Himself appeared to St. Abramius the Bulgarian, a Muslim who did not want to live a passionate life and prayed to God from the depths of his heart. He saw our Lord, who showed him His hands and feet with wounds from the nails and told him the mystery of salvation on the cross. After he became a Christian, he was martyred by Muslims for accepting Christ, but it was the Lord Himself who came and explained everything to him about salvation. We believe that no soul can perish if he truly seeks God and truth. This soul will be heard and visited by our Saviour. Our reader has asked about people who don’t clearly see the whole meaning or effect of their life. No, the Holy Bible says that people do know the price of their deeds, they do know they are fighting against God. We have a conscience, and our conscience is God’s voice warning us of eternity, about the choices to be made here on earth. We know from the Book of Revelation that in the last times people will know God, but they will be hostile towards their Creator, and when punished they won’t be humbled, but will utter unheard of blasphemies towards heaven. In Russia now, after seventy years of enforced atheism, it is almost impossible to find an atheist. Everyone admits the existence of God, or an “eternal force,” a “Higher Mind.” They may not know their Lord in His sacraments, but their heart knows of the Just Judge and Creator. Many of them, however, while admitting His existence are not His children because of their indulgent lives. They want to be independent from God, they don’t want anyone to rule over them, and this is characteristic of many people of our time. In his Epistle to the Romans St. Paul says that pagans know when they do bad things, they know it perfectly well. God has revealed Himself to them through the natural order of creation, but those who didn’t keep God in their minds and hearts were abandoned to the uncleanness that they desired more than God Himself. Pagans know that they do evil, and not only do these things but take pleasure in others doing them as well. Those who sin without knowing the written commandments of God and the Holy Scripture, and who do not repent, won’t be judged by that law, but by their own conscience. How can one be content in paradise, knowing that his relatives are in hell? 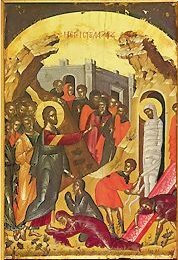 St. Macarius the Great answers that it is only before the Last Judgment that we are filled with compassion for our relatives and friends, that it is only in this temporal life that a mother prays for her prodigal son, or that a pious wife has compassion on her unhappy spouse. This is because it is God who acts through people, filling their heart with the pain of compassion. It is His hand, His will, that gives you this feeling of mercy. God Himself gives you the desire to pray for this fallen man or woman, as a means of salvation. Perhaps this person is very persistent in serving sin, perhaps he is unable to receive God’s grace because of his conscious love of iniquity; nevertheless, God fills your heart with compassion so that he can be saved. God is not only merciful, He is just. He knows that this person has a stone instead of a heart, that he laughs at his own spiritual death, that he has neither fear of hell nor thirst for heaven. Our compassion is a witness of God’s Divine Love. He saves us because He is our Father, but He devises the means of salvation by using other people, who by their free will ask His mercy to pull the sinner from the mire. He wants us to ask for them because He is waiting for a manifestation of free will from His creation. He does not violate our freedom, but in the question of salvation, He uses our pleas. When we pray for someone, living or departed, using our will instead of the sinner’s will, He condescends to our demands and saves and helps the sinner for the sake of those righteous people praying for him with pain. He gives Christians the compassion to pray for this person, and when they pray freely, He honors their prayers as a manifestation of His creation’s free will. Every sinner has some light, good deeds, like sparks in the darkness, and this is the reason for their frequent prosperity here on earth. Sometimes, God does not touch them but allows them to enjoy life so that they have their reward for their good deeds here in this world. Certainly, they are preparing a punishment for themselves when they depart to the other world, but He allows them to have what they want here because they are not completely wicked; they are not demons. They have not been completely swallowed by hatred, but still retain some compassion for those they love. This is the reason for their calm, seemingly satisfied existence. This is not my thought, but hat of Metropolitan Anastasy Gribonovsky, second hierarch after Metropolitan Anthony Khrapovitsky, who wrote this in a very bright diary entitled, “Conversations With My Own Heart,” where he quotes from St. John Chrysostom. But even if we are the worst of sinners, God never tires of trying to save us. He approaches us from the front, from the back, the side, through other people, even from the underworld (using demons). Certainly demons have bad intentions towards us and are not interested in assisting our salvation, but they are limited beings and hate us less than God loves us. Therefore, their attempts to ruin us are embraced by God’s providence. He converts their filthy plans to our wealth. But, when God sees that we refuse His grace and are stubbornly unrepentant, He does not force us. When He, being light and life and bliss, is rejected, then certainly, demons will fly up like vultures to grab us. This is in complete conformity with the will of the person: if you prefer sin instead of virtue, you will be punished by your own preference. What about children and their suffering? What about the children of alcoholics, of parents who are devoid of family feeling? Why does God allow these children to grow up in such families? Adults are not devoid of common sense. They understand cause and consequence. They are not robots without brains, but they misuse God’s natural gifts, sacrificing them to lust and indulgence. When they transgress divine and natural laws, certainly they doom their children to suffering. Of course, our Lord knows that the guilt of the parents is much greater than that of their children, and He does not abandon the children, but they also do not live in a desert, and it is up to all of our human family to help care for them, to save them from their parents, to bring them up in piety. These unhappy children, who are taught to do evil by their parents, are nonetheless free and they can choose. We have millions of instances that show that children of wicked or abnormal parents can be saved, and not only saved, but attain great virtue. We must understand with great certainty that at every stage of a person’s life, everything is determined by our free choice. We are not stuffed dolls, we are not instruments of anyone’s external will. We have the free will to choose, to call for help to our Creator. We are very weak and we need the assistance of the Holy Spirit. People do not die “accidentally” or before their time, without a chance to repent. God takes a soul only when He sees that there is no further hope of positive change, or when a righteous soul is mature. When he sees that a soul is incapable of making any further gain in the spiritual life, He will take it. But finally, when all means are exhausted and a person remains resolute in his vice and darkness, then according to God’s mercy (but not hatred – He has no hatred for His creatures), our Lord, the Most Wise Judge, gives him what he has consciously chosen. He allows him, after his death, to live in the kingdom that he has chosen during his earthly life. Certainly, our reader is right when she speaks of the idea of St. Isaac, that when the heavenly, eternal place of light, peace and joy comes close to a sinner it is perceived as a whip, as burning coals. 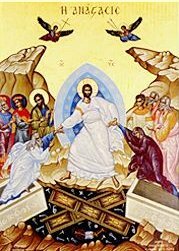 In other writings, the Holy Fathers say that it is out of God’s love that He has created hell, and that if a hardened sinner were to be placed in the midst of paradise, his torments would be much more terrible than in the hell which precisely conforms to his inner life. Hell, for a sinner, is his own environment. This is the life he has chosen. This life is death, and not only the moral death of the soul, but because he has chosen it together with his body, both soul and body participate in this death. Thus, as St. Macarius says, at the Last Judgement, a mother will not have compassion for her son, because he has made his choice. It was his will, his desire, his self-determination, and even Almighty God does not violate his will. Even if God allowed the majority to perish by their own choice, certainly He is merciful. He wants to save everyone, but how many of us think seriously about our end? Most of us are unbelievably light-minded. For me, when I think of hell, it is not necessary to imagine various kinds of torments, although I believe literally in everything that is described in Church tradition. I do not dismiss these traditions as being from the “dark middle ages” as our liberals and modernists say. Let them wait. For me, it is quite sufficient to know that in hell there is no Jesus Christ, there is none of His peace, His light, His love, His silence, His Kingdom, His living water of grace. I know by my own small earthly experience that to be devoid of these eternal gifts is hell itself. A soul pierced by God’s love wants everyone to be saved, and to be saved means to adopt God’s love while the soul is still within the body. Our hearts beg for everyone, and we believe in God’s omnipotence. He does not will that a single sinner should perish, but that each one may “turn and live.” He wants everyone to come to the knowledge of the truth. If your heart is close to God, you cannot remain indifferent to the salvation of your fellow men, but you must also understand the sovereignty of each person’s free will and know that God, Who is Love, will never violate this will. The only thing left for you to do is to cry out to God for each soul, as if that soul was your own.